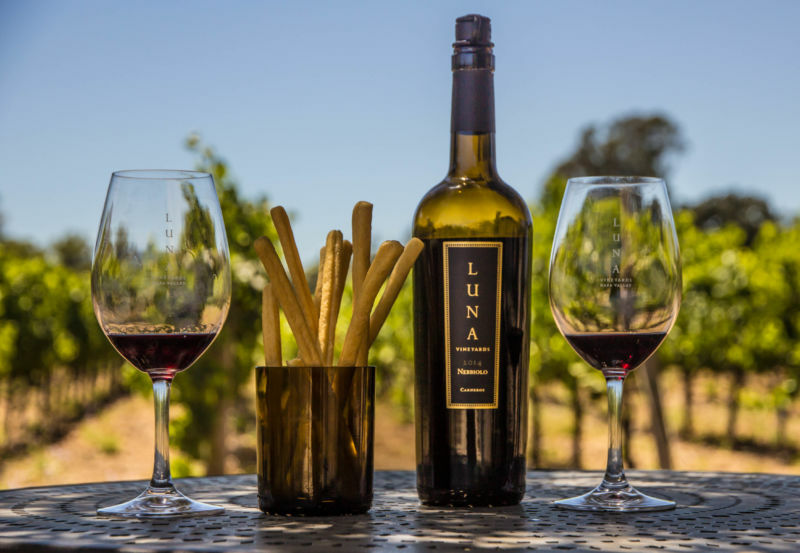 The Brit and I had the opportunity to meet with Andre Crisp, the President and CEO of Luna Vineyards, during our latest visit. 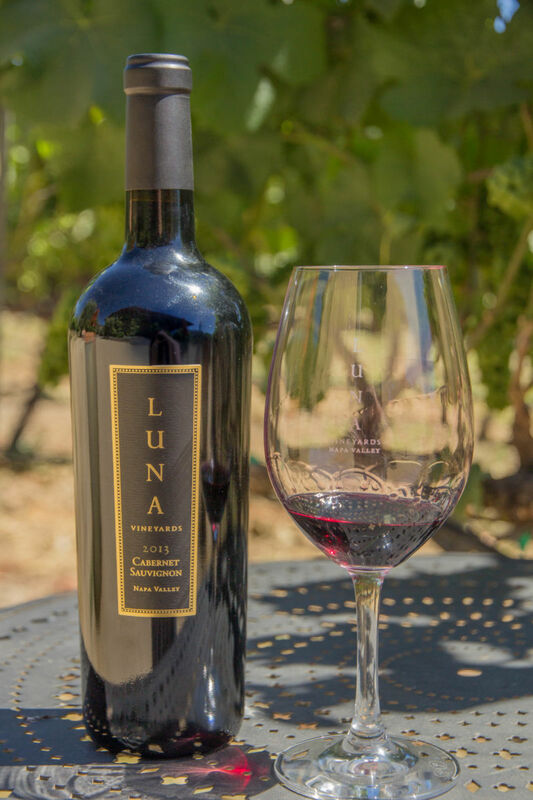 He took time out of his busy schedule to meet with us and talk over a few glasses of wine about the history and current happenings at Luna. It was a picture perfect day and we sat outside to chat. Life is really hard as a food and wine blogger let me tell you. We were really interested to hear about the wine line up and the grapes that they have planted as well as future plans for planting. The estate comprises of some thirty acres. The Brit comments: Twenty-two acres of the estate are planted with Pinot Grigio, another two acres with Wente and Dijon clone Chardonnay. 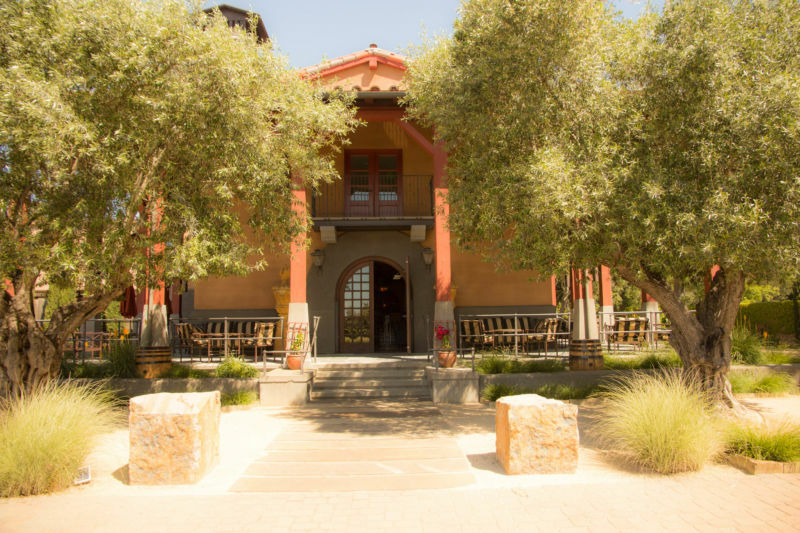 The rest of the estate consists of the winery buildings, offices, and tasting room. The grapes for their other wines come from other vineyards. 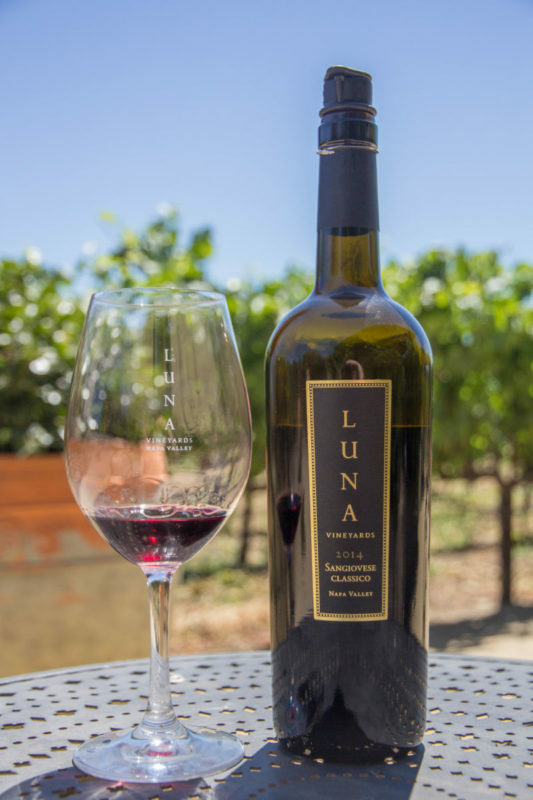 The Chardonnay was part of an experiment that Andre undertook when he took the reins at Luna, the first step in a planned move away from the Pinot Grigio and Sangiovese that had defined the winery. The result of the trial was not to move away from the Italian varietals, but continue them alongside new Chardonnay and Cabernet wines. Andre said that the next release of their estate Chardonnay will be a blend of these two clones. The total lineup of all of their products retail, wholesale, and tasting room is forty-four different wines. The “Black Label” wines are the wines that they only sell to members and in the tasting room. The Brit comments: The “Black Label” accounts for eight of those forty-four wines. They limit these to two-hundred and fifty cases; with the Pinot Grigio and Sangoivese being made in quantities of four and a half thousand cases. The “Jewel Label” wines are the retail products. (An interesting note – with the Jewel Label wines in order to keep the costs down, not all of of the juice in the bottle comes from Napa.) They also have a line of products they sell to restaurants which sport a “Tiffany Blue” label. The Brit comments: The Pinot Grigio in this range is priced at under $13 and they make tens of thousands of cases. There is series of “value wines”, which are under $20, called Lunatic and Asylum that you can buy in the grocery store. 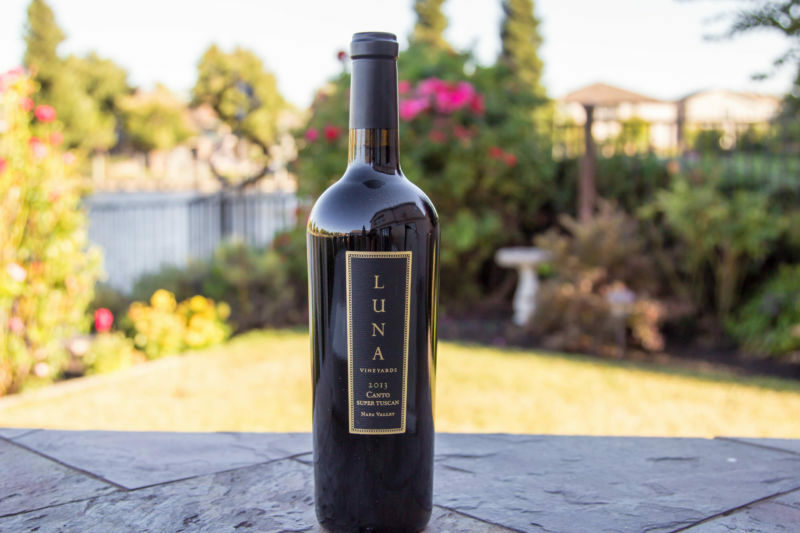 The Lunatic Label is their affordable blend wine both red and white. The Asylum is a Zinfandel with Lodi sourced grapes. The last in their lineup is what they call their “appellation” series; sold in their tasting room and to their members. These are their higher priced wines. The Brit comments: An example of the “appellation” series is their Howell Mountain Cabernet Sauvignon, an excellent example of a big, bold Napa Cab that retails for $110. One of the questions we asked Andre was: Why do they keep running out of our favorite Sangiovese? He smiled at us and replied that the demand for it has gone up to the point that they won’t be able to offer their lower-end retail product soon as they need all of the juice to meet the demand. (I nearly cried right there on the spot but I did manage to hold it together.) They do have land purchased to plant more Sangiovese, but those grapes won’t be ready for a minimum of 6 years. This will take hours of therapy and many, many bottles of Luna Sangiovese for me to deal with this loss. The Brit I are going to Costco and Safeway to hoard all of their bottles before there are none left. The Brit comments: He did say that they had stocks of the retail Sangiovese for sale to members, but only at a minimum order of five cases; which would exceed the capacity of our storage. Otherwise, I am sure that I would have been getting pleading looks from California Girl. We also asked him what he liked the best about the wine business. What he said really inspired me: He loves the fact that business is still done on a handshake and not by contract for the most part. Even with our large retail buyers like Safeway, they make an order, Luna ships it and they send a check. It is still done that way. We asked him what brought him to the wine business? Again, his answer was interesting and refreshing. He said that wine brings people together, enjoying a meal, at celebrations, and family. He wanted to work with something that did that for people. It is all about the people. The Brit comments: We were sat across a table with glasses and bottles between us. He described the wine trade as being “belly to belly”; a phrase that to me evoked an old-fashioned friendliness; which seemed even more appealing as we sat in the warmth and tasted great wine. When we asked Andre about the winemaker Shawna Miller, he smiled and told us that the reason she couldn’t be at this interview was because she had just given birth; Congratulations to her. Of course she could have waited until after we had the chance to talk with her. Another fun fact we found out is that Shawna is married to one of the winemakers at Domaine Carneros; another of our favorites. Shawna manages the entire lineup of all forty-four products. She does have winemakers under her, but she has her hand personally on each and every wine. 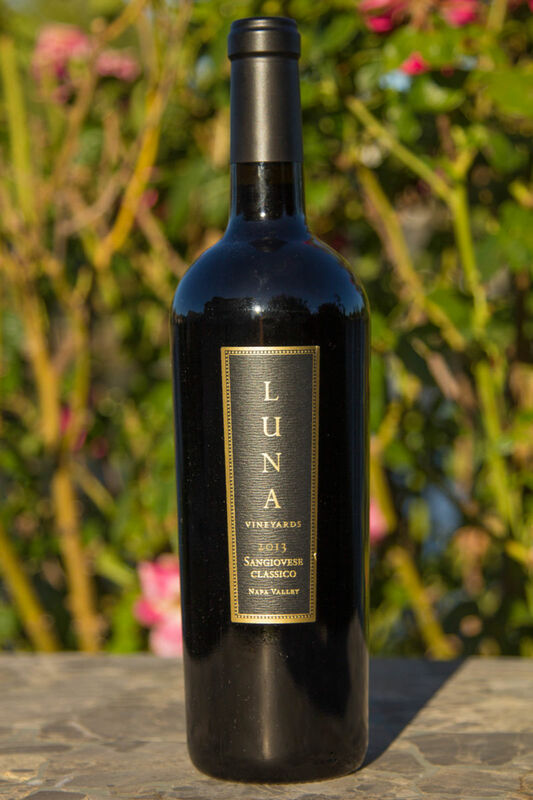 The Brit comments: We have long enjoyed Luna’s wines, but there has been an improvement in quality and variety that can be traced back to Shawna becoming the head winemaker. 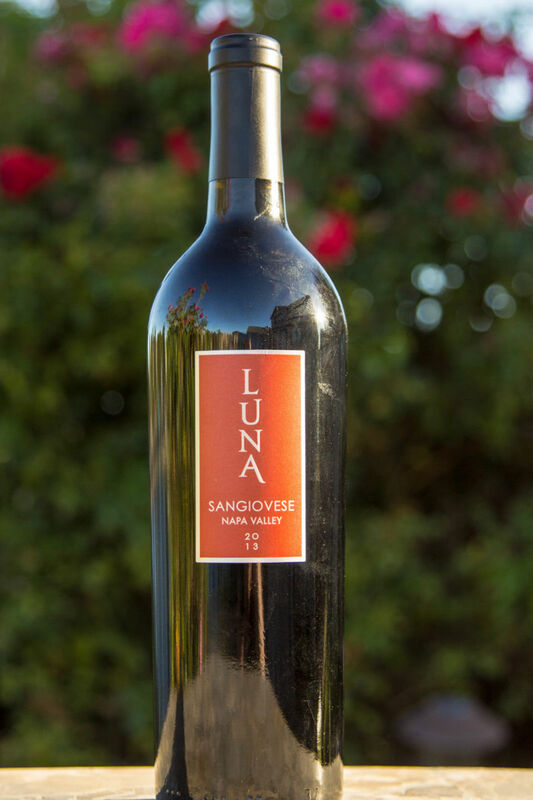 Even if there is going to be a shortage of Sangiovese in our future, we will continue to be loyal Luna members. Don’t worry Andre, I’ll get over it……..Someday.